Safari is not the only choice for iPhone, iPod, iPad. There are many other alternatives as below. Chrome's main trick is to sync with Google HQ so that your bookmarks, tabs. passwords, and the omnibox ‘memory' of sites on the desktop Chrome browser (or Chrome OS) are mirrored on your iOS device. Additionally, the Send to Mobile extension for desktop Chrome lets you forward pages to your mobile device for reading later even if the device is offline. voice search is built in (just hit the microphone icon in the Google search field) and lets you speak rather than type search queries. It's as accurate as Siri, which is to say it's frustrating and amazing in equal measure. Google Cloud Print is also built in, letting you print pages to any computer that's running the Chrome desktop browser or Chrome OS. That’s pretty neat, if only because it bypasses Apple's irritating AirPrint system that limits you to just a few manufacturers. Mercury is available in either a free or a 69p paid-for version. Those behind Mercury aren't big on documentation and didn't respond to an inquiry email, but as far as I can see your 69p brings nothing more than TV output (via an adapter cable). However, this is not to say Mercury is lacking. Features that caught our eye include ad blocking. syncing with both Firetox and Chrome bookmarks, visual themes, the saying of downloads to a Dropbox account, and multi-touch gestures (swipe two fingers up to go back. leftfright to switch tabs and more). 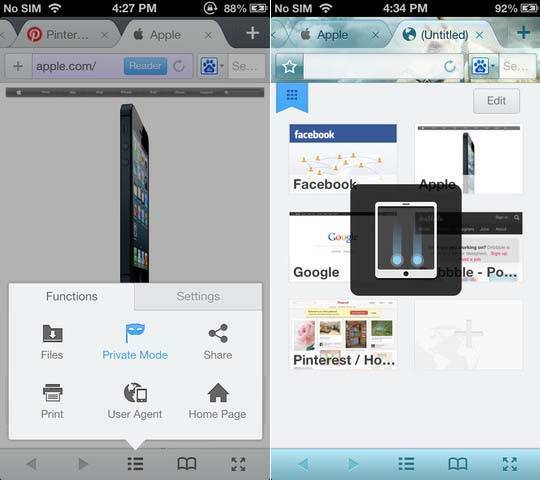 Mercury brings always viewable tabs to both iPad and iPhone, just like with a desktop browser. On the iPhone, it makes space for this by hiding the address bar when scrolling. It's an ingeniously simple and effective solution, although on both iPad and iPhone you’re limited to 15 tabs. However. Pufﬁn's 'cloud technology' approach brings to the iPad and iPhone video and interactive sites powered by Adobe Flash including games. 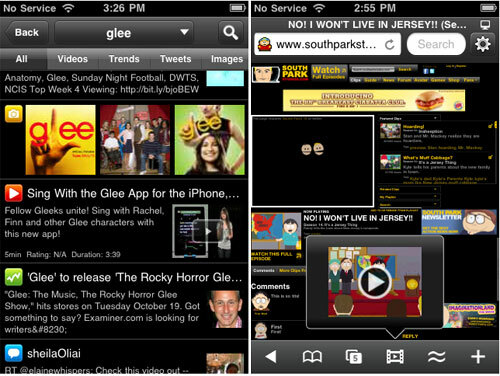 It does this by rendering the entire site on sewers in the US and streaming it as video or images to your iOS device. Clever! This also lets it claim to be signiﬁcantly faster than Safari. In our tests. Puffin was variable. In our first test across a 9Mbit ADSL connection there were often visual artefacts and stuttering with video and Flash animations, although most static sites rendered well. Our second test the next day was more and videos have a characteristically slower frame-rate. To play games that require a keyboard or mouse, you can activate an on-screen gamepad or trackpad. The latter comes complete with directional controller that sends the up/down/left/right cursor keyboard presses. Opera Mini's biggest boast is that it can save money if you use mobile phone data connections. It does this by compressing data. 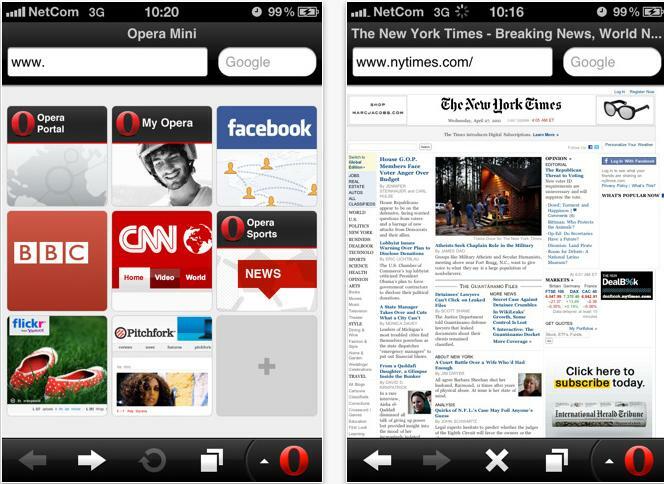 Opera Mini sends the address of any site you request to Opera's sewers, where it's then fetched, compressed as much as possible, and encrypted, before being Squirted to your iPad or iPhone. Opera claims you receive up to 90% less data this way. Sadly, in our tests it gust didn't work and we wished there was a way to turn it off (there isn't). On an iPad's 3G mobile connection showing three bars, an ideal test, considering Opera Mini is supposedly also designed for slower connection speeds. Safari was able to load pages in around a third of the time it took. Opera Mini, it was Even slightly slower than Safari when using a 9Mbit ADSL connection. If software is to he measured by the number of gimmicks it features, then Dolphin ranks highly. Its biggest boast is the use of gestures. 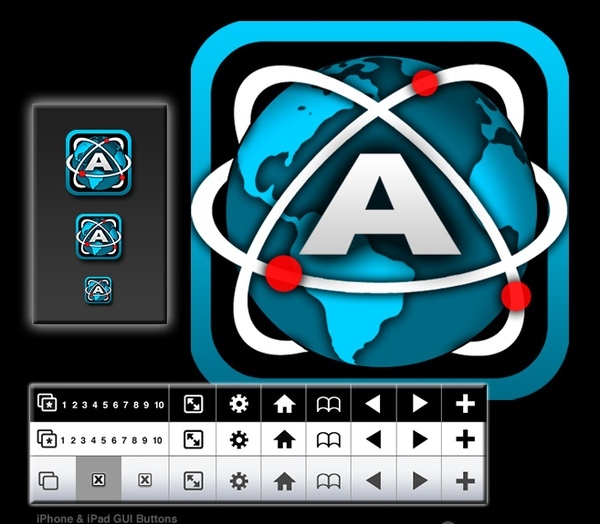 Activate gesture mode then draw a G, for example, and you‘ll visit Google.com. 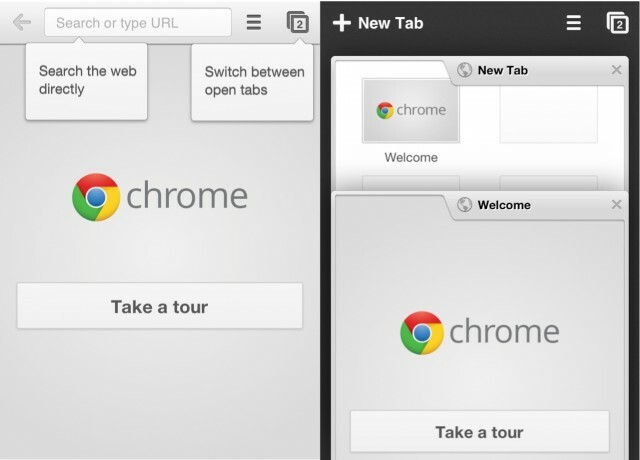 Draw a T and a new tab will open. Draw a down arrow and you'll go to the bottom of the page. You can also create your own gestures very easily. Dolphin is also built around sharing and saving. 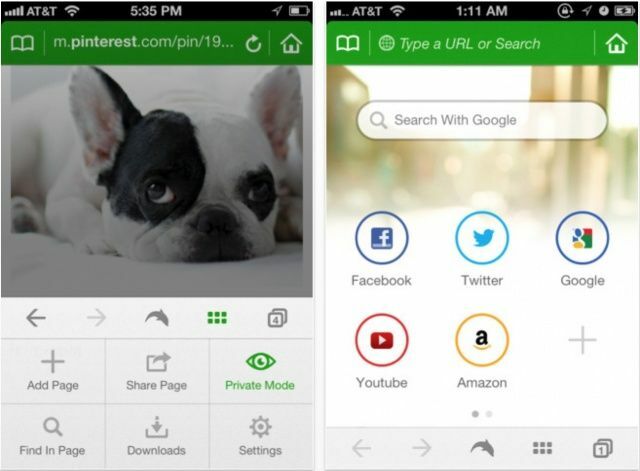 You can share links with one tap via Facebook, Twitter, email and with other Dolphin users on the same network. You can also save pages to Evernote and Box (not Dropbox, although this can be installed as an extension, available on Dolphin‘s website). Extensions are available for the desktop versions of Chrome, Firefox and Safari to allow syncing too. Available in both a stripped down ‘Lite’ version and a £1.49 fully featured version. Atomic is similar to Mercury in that it has a long feature list. The difference is that with Atomic there are no fancy icons on the settings menu or explanations of what cryptic features do ('Display lDN‘?). There are no thumbnail previews of bookmarks either, although you can set up speed dial. Which utilises thumbnails. Ultimately, though, this is a browser for the man (and it will be a man) who likes to work through long lists of options to make things just so. Features include ad blocking. we were a little underwhelmed by Atomic. Aside from the tact it has a separate URL and search ﬁelds, rather than an omnibar, we couldn't really fault it. Then again, we couldn't find much to praise about it either. It does the job. It just isn't particularly elegant. 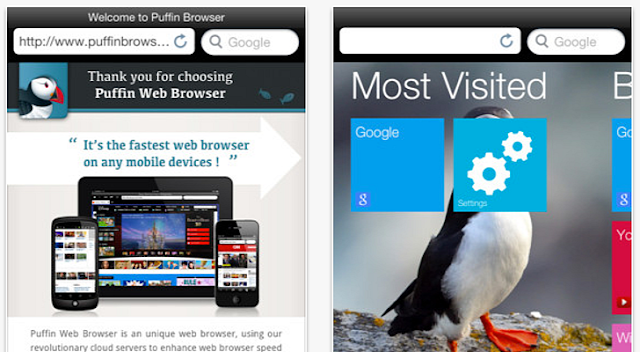 Skyfire is the most expensive browser on test here, not least because its developer pulls the mean trick of producing separate versions for the iPhone (£1.99) and iPad (£2.99). Other browsers reviewed here use a single app approach, meaning that you only pay once thanks to Apples App Store policies. Skyfire's chief trick is to let you watch Flash video, which it does by transcoding them in a data warehouse before sending an iOS-friendly MP4 stream to your device. This has a few drawbacks. It's not full Flash compatibility. So you can't watch animations or play games. Flash videos that require passwords also won't work. Skyﬁres other big trick is Horizon. A scrollable list of icons at the bottom that allow you to share stuf you're seeing, or get quick pop-up access to news sites.